On March 21, 2013, tenants were forced out of a multi-family apartment building due to a fire. “It was so scary,” said a 19 year old resident. “It was all black and all you could see was the orange flicker of the flames.” The Red Cross provided support to seven families comprised of thirteen adults, two children, and one infant. The families lost everything, and each one received financial assistance for temporary lodging, food, and seasonal clothing, including additional help for the infant. Each displaced family also received a Recovery Packet to help them move forward, and Red Cross staff followed up to ensure that the immediate needs of each family were met. It's very important to me for my child to attend daycare. Not only does it socialize her with her peers and get her ready for kindergarten but it also allows me to work. The Canaan Child Care Center has been amazing, supporting my child and my family in so many ways. I couldn't have asked for a better experience for my child. JS is a 52 year old female, who struggles with chronic pain following an automobile accident 5 years ago. She is no longer able to work, on multiple medications for her pain management, and often finds she has no energy or desire to get out of bed, shower, dress, or interact with friends and family. Her adult children have voiced concerns that she even refuses to come to their homes because of her pain complaints. Client admitted at intake that she has had a long history of low-level depression. JS participated in several individual sessions of therapy, and then joined a new group that Catholic Charities started for persons with chronic pain. Client has reconnected with others through the group and made a couple of new friends. She gets up and dressed for group and has only missed 1 session when she was down with a cold. She has talked with group members who have encouraged her to be assertive with talking with her MD about alternatives to just medication for her pain management. Although this group has ended, JS reports ongoing contact with others, she continues to experience reduced pain, reduction in frequency of taking pain medication, increased energy, better hygiene, increased communications with her physician and more interactions with family. Joe, an eight-year old boy from a divorced family, displayed high levels of anxiety and anger. He was afraid to go upstairs alone, had outbursts, and was very possessive of his toys. A variety of therapies were used to help him learn how to better express himself and cope with his emotions. The therapist also worked with his mother to create a system to provide structure and stability for Joe, who now demonstrates reduced symptoms and much-improved behavior, thanks to his new coping methods. I'd like to tell you my story on how CLS helped me and my children. When my husband and I got married, we were both working and had a good life. He adopted my two older daughters and we had another one. Unfortunately, he lost his job after a few years. We didn’t have enough money and moved to CT to live with his family. That’s when things got bad. I found work and started studying, but my husband refused to work. Even though I brought home a paycheck, my husband and his family treated us like unwanted guests. We couldn't eat without their permission and they yelled at us all the time. My daughters were depressed and we all felt trapped. I was unhappy, but scared to leave. My husband had always made all the decisions and I didn’t know what would happen to my family if I left. I ended up at the Susan B. Anthony domestic violence shelter. They helped me understand that I didn’t deserve to be treated that way and told me that I could talk to a lawyer. That’s when I met Dahlia Grace, an attorney at Connecticut Legal Services. Attorney Grace answered a lot of questions I had about divorce. Eventually, I accepted that my husband would never change. Attorney Grace helped me file for divorce. When my husband refused to pay child support, she went to court until he did. It took a year to finish. Attorney Grace was patient. She answered my questions and told me what was going on. Now my daughters and I live in our own apartment. My children are happy because they know that they're safe. They are on the honor roll at school and are adjusting to their new lives. I finished a cosmetology degree and have a job. Life's good. I'm grateful for th help I got from Attorney Grace. I wouldn’t have been able to do it without her. After a grandmother's check came back twice due to insufficent funds, I sat down with her to ask how I could help. She cried about the hardship she had been through in trying to help her son pay for childcare. She explained that she had two other teenage granddaughters living with her because of their mother's drug addiction. 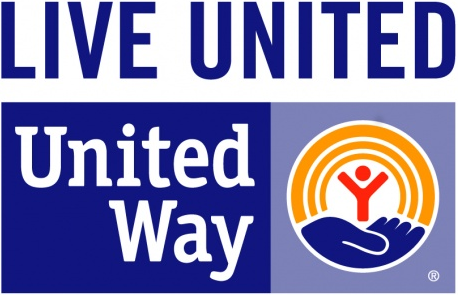 I was able to offer her the help that she desperately needed because of United Way funding -- Amy Bresson, Executive Director. I'm very thankful to be a tuition recipient from Falls Village Day Care Center. Thanks to their support my two boys are able to spend their mornings at the Center before school. They enjoy spending time and eating breakfast with friends. Finding affordable before and after school care is difficult. This scholarship helps me to keep my boys in an environment they enjoy and where I feel they're safe. A 42 year old Mom and her 6 year old son arrived at the FISH shelter over a year ago. FISH staff encouraged her to get Certified Nursing Assistant certification, which she completed. She became employed at a nursing home, applied for low income housing, budgeted her income to pay off any debt, and moved into her own apartment. During their stay at FISH, they received case management opportunities. To protect her son, the mother told her son that he lived at a hotel. The FISH staff attended and celebrated his kindergarten graduation this June; and thanks to the generosity of the community, collaborations with other service organizations and funding from the United Way and foundation gifts, their thrilled to begin their new life. Best of all, they know that FISH is always there to fall back on for information and help as they become productive community members. Amazing things happen under the roof at FISH every day! A Lakeville resident was able to return home from nursing home placement because Geer's door-to-door transportation picked her up each morning. They provided breakfast and a hot lunch, plus physical and mental stimulation through daily activities. She received supervision and was able to socialize with her peers, and her family could go to work during the day and share her company when they returned home. It's been an honor to be a Girl Scout for the past six years. You don't just go on fun trips. It's a job, but an exciting one--a way of putting a smile on the face of someone who desperately needs one. In December, my Troop went Christmas caroling at Valerie Manner Nursing Home. Just walking down the hallways and hearing each elderly patient singing along to our catchy tunes, or watching a smile sneak upon their faces, made me feel wonderful. Being a Girl Scout cheers people up. If every Girl Scout made someone laugh, smile or feel amazing for a moment, imagine how peaceful the world would be!!! But in time, I believe that we can do this! Being part of this organization has helped me make a difference in others’ lives. Scouting helps young girls live happy, healthy lives. Selling cookies builds confidence, and singing at a place like Valerie Manor can inspire a girl to become a nurse. It's helped me make friends. One of my best friends is someone I met through Scouting. I love being a Girl Scout. I'm proud to help my community and grateful for all the ways the organization has helped me become the person that I am today. Barbara's daughter didn't want to go to camp, but Barbara worked and couldn't leave Susan home alone, where all she did was watch TV, be on the computer, and text. LARC counselors discovered that Susan liked to read and developed a plan to have her help someone read to younger campers. Susan ended up loving daily camp, reading and playing games with other kids on the beach. She even asked if she could learn to be a Counselor in Training for the next summer. Our son Andrew was born in 2009. He went to a relative's during the day since my wife and I both worked. When he was two, we decided to place him in a day care to stimulate and socialize his little mind. After a month, he started to display some behavioral problems at school and at home. He was extremely defiant, and had daily temper tantrums. I was called three times to pick up him up from school because they couldn't handle him. After two meetings with the day care, it was suggested that he see a doctor. There was nothing medically wrong, but the behavior seemed to be getting worse, and the day care asked that we remove him. The doctor suggested a child physiologist, who told us that medication could help this situation. OUT OF THE QUESTION!!!! He only lasted two weeks at another day care after he threw a toy and hit a child. He then began to go to a local sitter. I found it extremely difficult to go shopping or to a restaurant with Andrew. He seemed to be in control of every situation, and we couldn't enjoy any family time. We were then introduced the Triple P Program and Karen, our facilitator. Every week we met at our home and read through our workbook. My wife and I learned positive techniques for dealing with Andrew, and we began to take control. The program provided tools to change ourselves and in return, it changed Andrew’s behavior. We learned about the principles of Positive Parenting. After two weeks, we saw changes in Andrew. Now we can now go to a restaurant without any problems and going to the supermarket is simple. My wife and I can honestly say the Triple P Program Works. "Jazmin" is growing up with her father and her brother. Her mother, who is mentally ill, lives in another state and rarely sees her. Jazmin was matched with Cynthia, a successful businesswoman who works closely with the child. She offeres empathy and solid advice when Jazmin tells her about instances of emotional abuse, and together they share an interest in sports. Since being matched, Jazmin's grades have improved and her mood has lifted considerably. Her goal is to join the US Air Force. "Nora" visited the Winsted Service Center seeking help with utility, phone, and mortgage bills. She was a widow who hadn't worked since she lost a job nearly ten years ago. She managed by existing on credit, savings, loans, and the generosity of friends. She finally turned to the Salvation Army when those sources were exhausted. A case manager provided additional resources such as energy programs, CT Works and financial counseling through her bank, as well as giving her food. Nora finally began to acquire the tools to make lasting changes that would lead to greater self-sufficiency. Client A left a $350,000 home to enter the domestic violence shelter. Her husband beat her, but she was too embarrassed to call the police. She's now on her own apartment with her 2-year old son and 14-year old daughter and has a part-time job, thanks to the Susan B. Anthony Rebuilding Lives Transitional Living program. Nine visitng nurses ministered to my wife during her protracted illness caused by a brain tumor. Terri Flaherty was her occupational therapist at the beginning of her illness. She was kind, considerate, and very competent. My wife Bernice loved her sessions with Teri. Cathy Rotondo was her physical therapist. Cathy did her job with compassion and extreme competence. Again, my wife loved her sessions. After Teri and Cathy could do no more for Bernice, she entered a different phase of her illness…Hospice Care…with Kathleen Phillips as her charge nurse and Tammy Strickland and Cheryl Loundsburg as relief nurses when Kathleen couldn't make a visit. All three nurses were very competent, but more importantly, they were compassionate and caring. My wife was very comfortable with their visits, as was I. It would be hard to find three better human beings. Diana Warrior played in our back yard as a child. She became Bernice’s aide. My wife looked forward to their visits. The marvelous care she gave my wife will not be forgotten. Leaha Sellerman was the case social worker. She also showed great compassion for both my wife and I. She is a special person. What can one say about Joyce Watuseh. Sheer joy was the emotion on my wife’s face when Joyce plied her craft. When Joyce left, my wife would always be in a very deep sleep. Joyce is an artist. Lastly, Holly Martin was my savior. She would relieve me so I could get a haircut, have the oil changed in my car, or visit the dentist or doctor. Thank god for Holly Martin. I guess what I’m trying to say is that Visiting Nurse Services of Torrington is made up of a group of very special people. Thank God for all of them! Bill suddenly found himself in the role of single father to three girls aged 1, 3, and 5. He's taken odd jobs here and there, but he's had a hard time finding carpentry work. Thanks to the Winsted Area Child Care Center, he doesn't have to worry about his girls going hungry for breakfast or lunch and snacks. He can go to work knowing that the girls are in good hands each day. Even though he started college last fall, Will still finds time to volunteer at the local YMCA. So far he's led games for middle school students during Tween Night and refereed a basketball tournament. He'll be spending this summer as a youth camp counselor. As a member and past president of the Y's Leaders' Club, Will understands the value of serving others. Now he's giving back to the community and serves as a wonderful example of the Y's program.